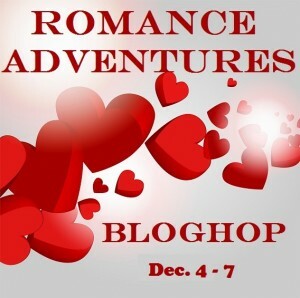 Join us in the Romance Adventure Blog Hop! A great way to discover new books and authors. From contemporary romance to military to cowboy through paranormal and over to historical and regency and a lot of in between. I’m giving away two $5 Amazon gift card. All you need to do is tell me what is the most awesome romance you’ve read. Don’t forget to leave a way for me to contact you. AND for a taste of what’s in store in my Guardian’s world, here a little something from my next FG book. A scene between Michael, the Guardian’s leader and Blaéz after he deliberately missed a meeting. ‘Michael strode into the gym, circled the heavy equipment and sat across from Blaéz on a workout bench. The old tee he wore looked like the moths had a great time feasting on it. It didn’t surprise Blaéz the archangel was still here, when he rarely stayed at the castle. It was expected after missing the ‘chat’ last night. Well, he’d been busy…stalking. He couldn’t make the meet. Blaéz heard the question. Maybe he should have felt guilty that he cared so little about his own health, his life. 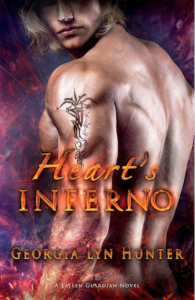 After all, Michael had given up more than his status as the leader of the archangels, lost something irreplaceable to free him—free all of them from that hellish hole. And he’d chosen to stay on as their leader. Why would anyone want to take charge of moody, temperamental fallen ex-gods? Blaéz had no idea. Still, Blaéz could never reveal the reality of what he’d done…still did. The truth would crush them. “You’re becoming self-destructive,” Michael growled. He was way past self-destructive. Great excerpt. Loved the line – he reeked of Hell – cause you really mean Hell. Thanks for joining us on the hop. Great excerpt. I love that you’ve used archangels in your story. Aha! Thanks Gina 🙂 You’re still partial to that guy from AS, huh? There’s more of him in this book, too. Love the excerpt! Sounds phenomenal. Wow what an ending. Now I have to know what’s next! thanks Melissa 🙂 the book should be out next year. Jude Deveraux’s Velvet series is the one that started it all for me, so I have to go with it! I have read this series, loved it, too! Wonderful excerpt. I can’t wait to read this. My all time favorite romance is For My Lady’s Heart by Laura Kinsale. thanks, Gaeille 🙂 Yep, everyone seems to like that one-LOL. Love the excerpt Georgia! Can’t wait to read more. Yikes! This adventure is making my TBR pile sky high, but can’t wait to curl up and read these great stories! Romeo and Juliet it’s a classic!